“Local booksellers Ken Sanders and Catherine Weller agree that one of the biggest Utah releases of 2008 was the . 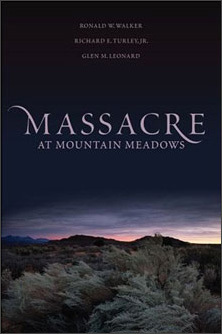 . . long-anticipated account of the tragic 1857 slaughter of more than 120 men, women and children, Massacre at Mountain Meadows, … ‘In terms of sales, historic import and splash within the community nothing topped it.’” Read more here.